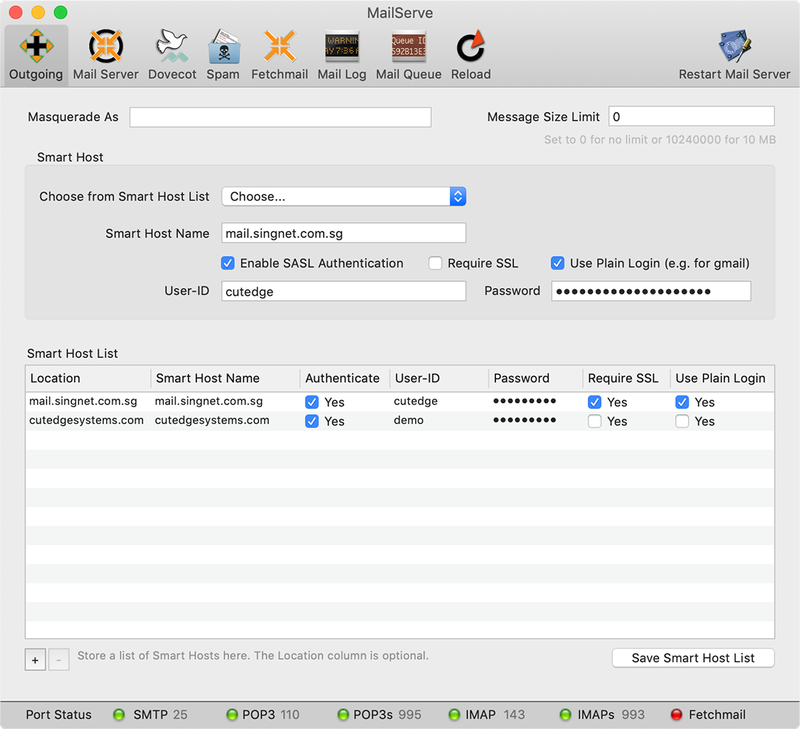 Version 12.0.2 added a new “Use Plain Login” checkbox to the outgoing smtp relay host parameters. 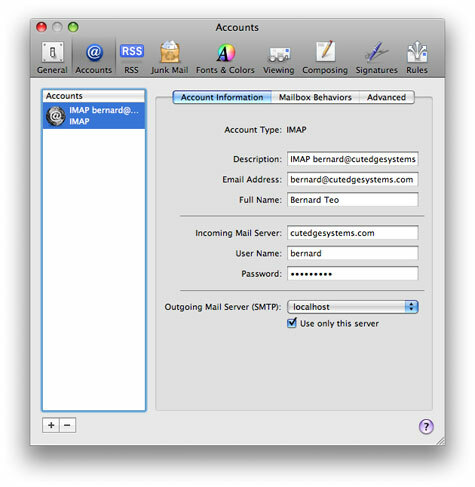 This is needed, e.g., if the relay host is smtp.gmail.com, which requires the password authentication mechanism to be of type “plain”, or some such similar smtp servers. 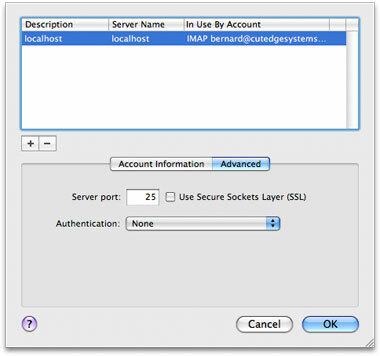 If you’re having trouble authenticating with a relay host, try with this option set. 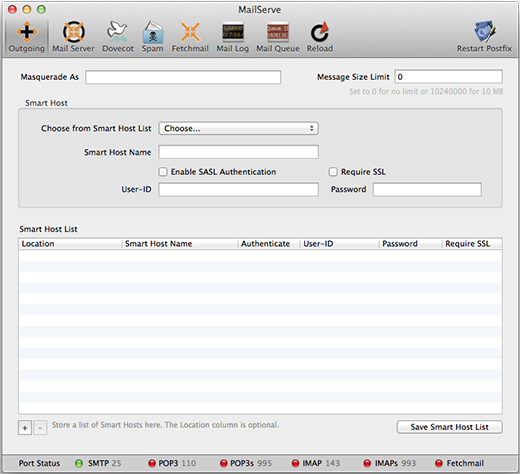 If you need to save a list of Smart Hosts, for when you are on different networks or locations, store them in MailServe's Smart Host list. 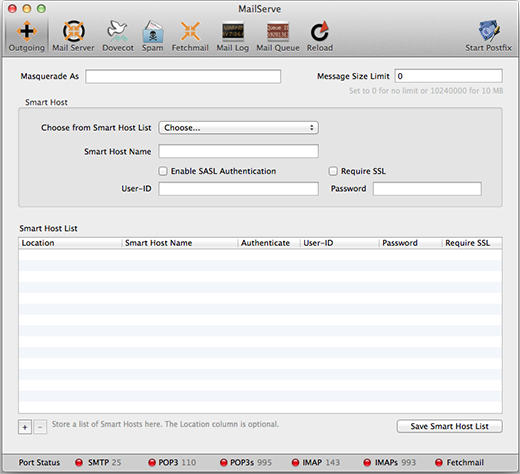 You can pick them up in the popup menu when you're setting the Smart Host.